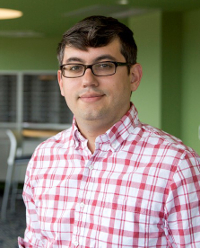 I am an Assistant Professor of Mathematics at UConn. I study the geometry of sets and measures using a mixture of geometric measure theory, harmonic analysis and quasiconformal analysis. In Spring 2019, the Analysis and Probability Seminar meets Fridays at 1:30pm. This is a research seminar featuring speakers from around the world. Organized by Scott Zimmerman. Geometric and Harmonic Analysis: a Conference for Graduate Students: March 29-31, 2019. Nonsmooth Analysis: a Workshop for Postdocs: November 9-11, 2017. Geometric Aspects of Harmonic Analysis: AMS Special Session at the Fall Eastern Sectional Meeting in Brunswick, Maine, September 24 and 25, 2016. Geometric Measure Theory and Its Applications: AMS Special Session at the Spring Eastern Sectional Meeting in Stony Brook, March 19 and 20, 2016. I am happy to advise Ph.D. students who would like to carry out research at the interface of analysis and geometry. A non-technical description of my research with Raanan Schul on rectifiable measures can be found here. [Statistics] Newest preprints/papers are listed first. Citation: M. Akman, M. Badger, S. Hofmann, J.M. Martell, Rectifiability and elliptic measures on 1-sided NTA domains with Ahlfors-David regular boundaries, Trans. Amer. Math. Soc. 369 (2017), no. 8, 2017, 5711-5745. We identify two sufficient conditions for locally finite Borel measures on Rn to give full mass to a countable family of Lipschitz maps of Rm. The first condition, extending a prior result of Pajot, is a sufficient test in terms of Lp affine approximability for a locally finite Borel measure μ on Rn satisfying the global regularity hypothesis limsupr↓0 μ(B(x,r))/rm < ∞ at μ almost every x to be m-rectifiable in the sense above. The second condition is an assumption on the growth rate of the 1-density that ensures a locally finite Borel measure μ on Rn with limr↓0 μ(B(x,r))/r=∞ at μ almost every x in Rn is 1-rectifiable. Citation: M. Badger, R. Schul, Two sufficient conditions for rectifiable measures, Proc. Amer. Math. Soc. 144 (2016), 2445-2454. We investigate the interplay between the local and asymptotic geometry of a set A in Rn and the geometry of model sets, which approximate A locally uniformly on small scales. The framework for local set approximation developed in this paper unifies and extends ideas of Jones, Mattila and Vuorinen, Reifenberg, and Preiss. We indicate several applications of this framework to variational problems that arise in geometric measure theory and partial differential equations. For instance, we show that the singular part of the support of an (n-1)-dimensional asymptotically optimally doubling measure in Rn (n≥4) has upper Minkowski dimension at most n-4. Note: The arXiv version of the paper has outdated numbering. The published version is open access and is the authoritative version. Citation: M. Badger, S. Lewis, Local set approximation: Mattila-Vuorinen type sets, Reifenberg type sets, and tangent sets, Forum Math. Sigma 3 (2015), e24, 63 pp. 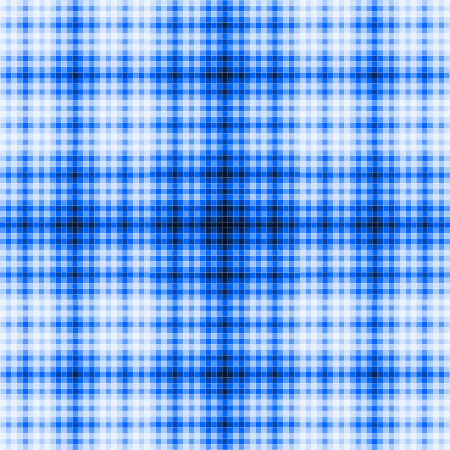 A quasiplane is the image of an n-dimensional Euclidean subspace of RN (1 ≤ n ≤ N-1) under a quasiconformal map of RN. We give sufficient conditions in terms of the weak quasisymmetry constant of the underlying map for a quasiplane to be a bi-Lipschitz n-manifold and for a quasiplane to have big pieces of bi-Lipschitz images of Rn. One main novelty of these results is that we analyze quasiplanes in arbitrary codimension N-n. To establish the big pieces criterion, we prove new extension theorems for "almost affine" maps, which are of independent interest. 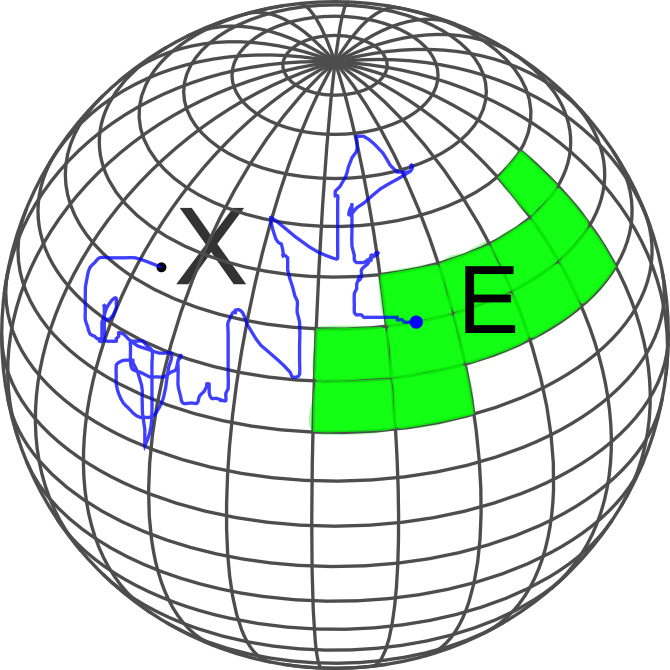 This work is related to investigations by Tukia and Väisälä on extensions of quasisymmetric maps with small distortion. Citation: J. Azzam, M. Badger, T. Toro, Quasiconformal planes with bi-Lipschitz pieces and extensions of almost affine maps, Adv. Math. 275 (2015), 195-259. We repurpose tools from the theory of quantitative rectifiability to study the qualitative rectifiability of measures in Rn, n > 2. To each locally finite Borel measure μ, we associate a function tJ2(μ,x) which uses a weighted sum to record how closely the mass of μ is concentrated on a line in the triples of dyadic cubes containing x. We show that tJ2(μ,x) < ∞ μ-a.e. is a necessary condition for μ to give full mass to a countable family of rectifiable curves. This confirms a conjecture of Peter Jones from 2000. A novelty of this result is that no assumption is made on the upper Hausdorff density of the measure. Thus we are able to analyze generic 1-rectifiable measures that are mutually singular with the 1-dimensional Hausdorff measure. Citation: M. Badger, R. Schul, Multiscale analysis of 1-rectifiable measures: necessary conditions, Math. Ann. 361 (2015), no. 3-4, 1055-1072. For each 1 ≤ p < ∞, we formulate a necessary and sufficient condition for an admissible metric to be extremal for the Fuglede p-modulus of a system of measures. When p = 2, this characterization generalizes Beurling's criterion, a sufficient condition for an admissible metric to be extremal for the extremal length of a planar curve family. In addition, we prove that every non-negative Borel function in Euclidean space with positive and finite p-norm is extremal for the p-modulus of some curve family. Citation: M. Badger, Beurling's criterion and extremal metrics for Fuglede modulus, Ann. Acad. Sci. Fenn. Math. 38 (2013), 677-689. We obtain Dini conditions with "exponent 2" that guarantee that an asymptotically conformal quasisphere is rectifiable. We also establish estimates for the weak quasisymmetry constant of a global K-quasiconformal map in neighborhoods with maximal dilitation close to 1. Citation: M. Badger, J.T. Gill, S. Rohde, T. Toro, Quasisymmetry and rectifiability of quasispheres, Trans. Amer. Math. Soc. 366 (2014), no. 3, 1413-1431. We obtain quantitative estimates of local flatness of zero sets of harmonic polynomials. There are two alternatives: at every point either the zero set stays uniformly far away from a hyperplane in the Hausdorff distance at all scales or the zero set becomes locally flat on small scales with arbitrarily small constant. An application is given to a free boundary problem for harmonic measure from two sides, where blow-ups of the boundary are zero sets of harmonic polynomials. Citation: M. Badger, Flat points in zero sets of harmonic polynomials and harmonic measure from two sides, J. London Math. Soc. 87 (2013), no. 1, 111-137. We show the David-Jerison construction of big pieces of Lipschitz graphs inside a corkscrew domain does not require its surface measure be upper Ahlfors regular. Thus we can study absolute continuity of harmonic measure and surface measure on NTA domains of locally finite perimeter using Lipschitz approximations. A partial analogue of the F. and M. Riesz Theorem for simply connected planar domains is obtained for NTA domains in space. 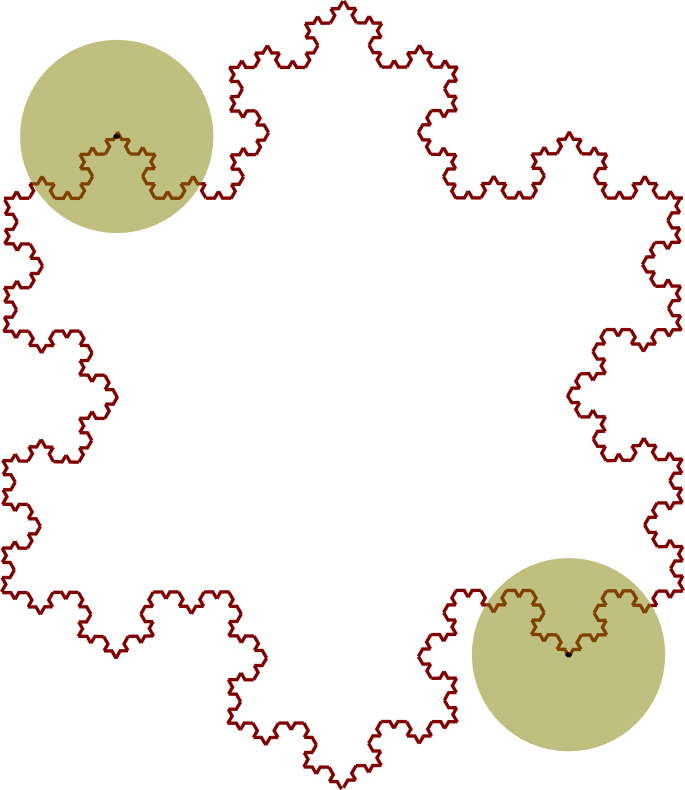 As a consequence every Wolff snowflake has infinite surface measure. Citation: M. Badger, Null sets of harmonic measure on NTA domains: Lipschitz approximation revisited, Math. Z. 270 (2012), no. 1-2, 241-262. We show that on an NTA domain if each tangent measure to harmonic measure at a point is a polynomial harmonic measure then the associated polynomials are homogeneous. 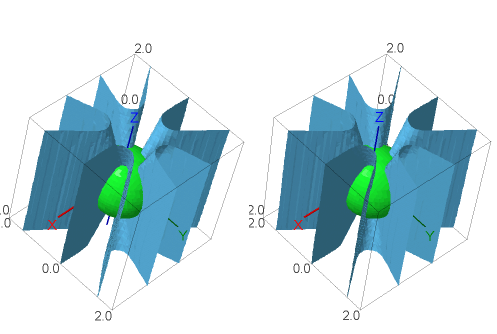 Geometric information for solutions of a two-phase free boundary problem studied by Kenig and Toro is derived. Citation: M. Badger, Harmonic polynomials and tangent measures of harmonic measure, Rev. Mat. Iberoamericana 27 (2011), no. 3, 841-870. PhD Thesis: Harmonic Polynomials and Free Boundary Regularity for Harmonic Measure from Two Sides. Defended on May 5, 2011. PCMI Research Program Seminar. July 2018. Updated version of Talk at ORAM 2018. 8th Ohio River Analysis Meeting, Lexington, March 2018. Geometric Measure Theory, Warwick, July 2017. Analysis on Metric Spaces, Pittsburgh, March 2017. SIAM Minisymposium on New Trends in Elliptic PDE, December 2015. An introductory colloquium (joint presentation with Vasileios Chousionis) for the UConn Special Semester in Nonsmooth Analysis. September 2015. HTML 5 simulation of Brownian motion exiting a domain. Fiction and non-fiction by Connecticut writer Matthew Ward.